The Club is the “hub of Waiuku” where Members, their guests and Affiliates come together to enjoy our friendly atmosphere, great facilities and excellent service. For an up-to-date list of events visit our website. Both the Lounge Bar and Sports Bar offer a wide selection of Beer, Wines, Spirits and non alcoholic refreshments at very competitive prices. Shunters Restaurant is open Thursday to Sunday, offering great food at competitive prices. 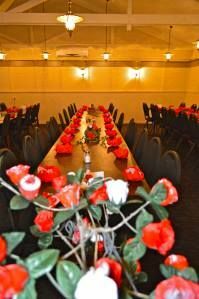 Our contract caterers always welcome the chance to cater for any of our member’s weddings, birthdays, anniversaries or special occasions held in the club. Weekly entertainment is held Thursday nights with local artists performing in our Lounge Bar, Friday and/or Saturday nights with Karoake, DJ’s, Bands or Shows. Free Juke box most nights – ask the staff. Weekly Member’s draws are on Thursday, plus our ever popular swindle. Club Sub-Sections are – Axemens, Darts, Fishing, Euchre, Outdoor Bowls , Indoor Bowls, Netball, Golf, Touch Rugby, Snooker, Mah Jong, Cossie Campaigners. 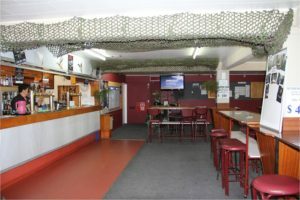 Waiuku Country Music Club, Waiuku Senior Citizens, Waiuku RSA meet regularly in our club. You can enjoy a punt in our gaming room or use our full service TAB facility. Our Smoker’s area is situated beside our Sports Bar. Free parking and Courtesy Van offers members with a safe alternative means of transport and operates from 4pm to close on Thursday – Saturday. Please ask at the club if you require the van at any other times.